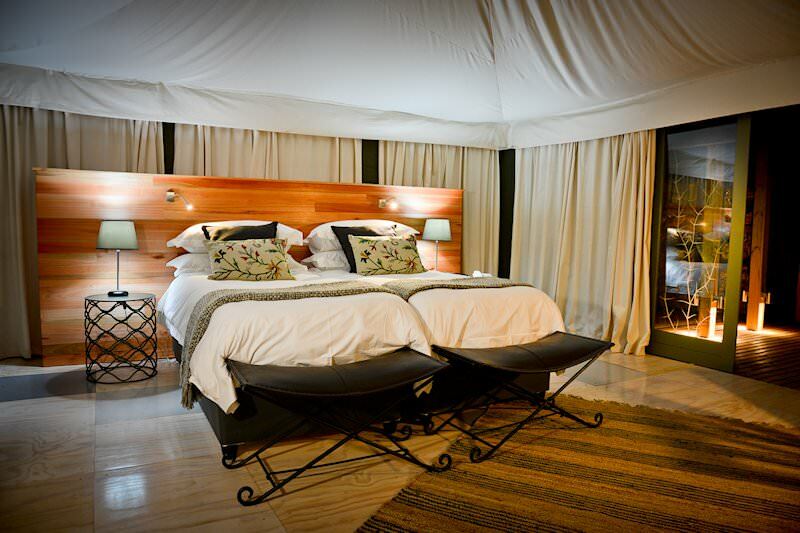 Simbavati Hilltop Lodge offers intimate four star accommodation in the Big Five-rich Timbavati Private Game Reserve. 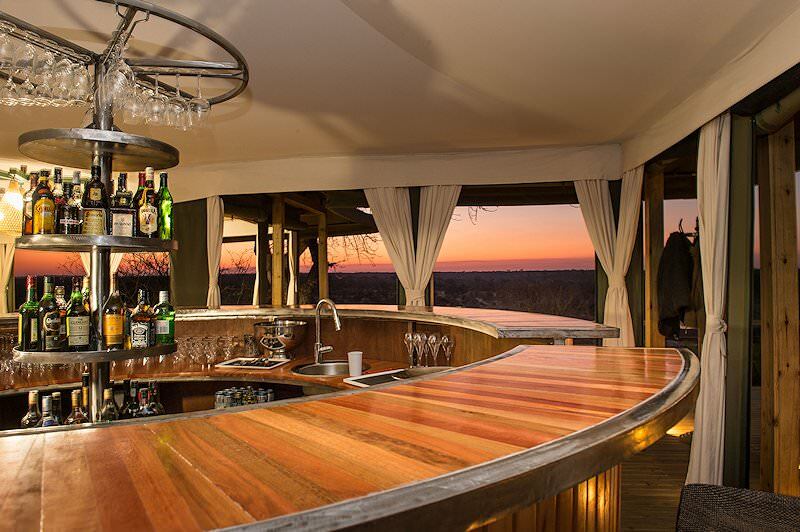 The Simbavati Hilltop Lodge is situated inside the Timbavati Reserve, which forms part of the Greater Kruger National Park. Thus, the area is as wild and natural as can be, and teeming with wildlife. 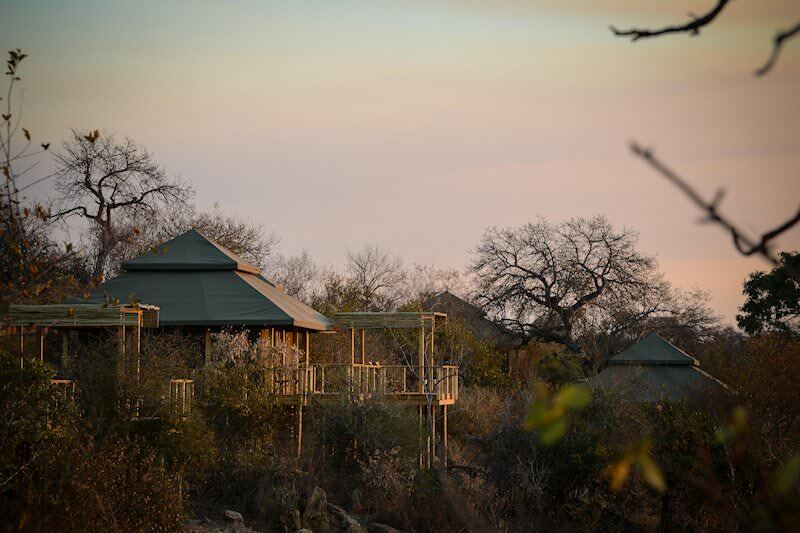 As it is a private game reserve, activities such as night drive,s guided hikes and off-roading are allowed. 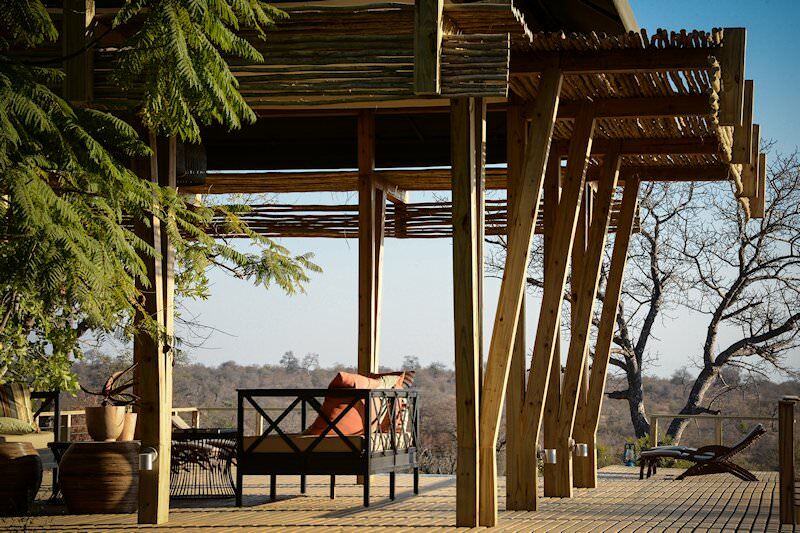 As the name suggests, Simbavati Hilltop Lodge is located on top of a hill providing breathtaking views of the surrounding bushveld. 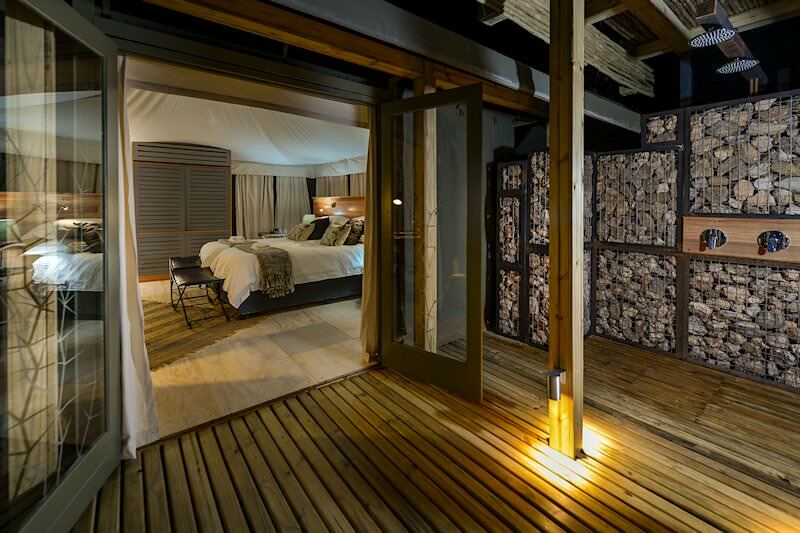 Personal attention is guaranteed, as the lodge can only accommodate a total of sixteen people in eight luxurious pavilion-style tents. Each “tent” is in fact a combination of two tents, where one of the tents is the bedroom and the other is the bathroom. 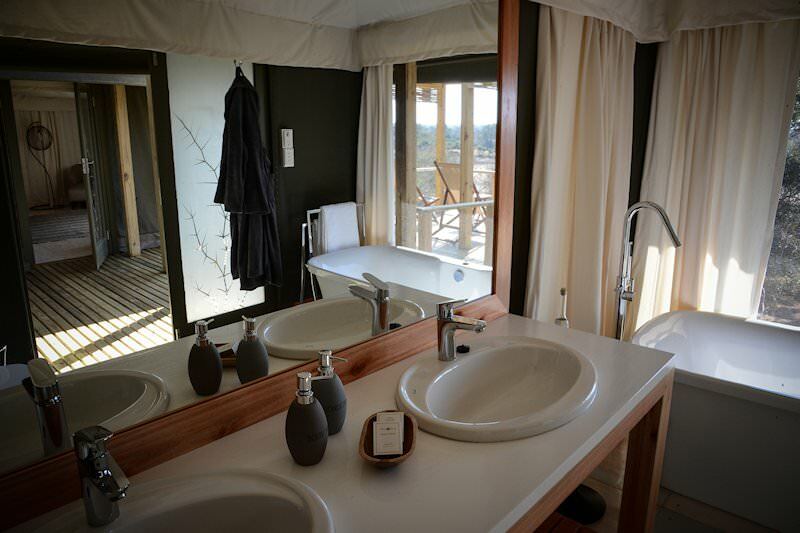 The bathroom can easily be converted from an indoor to an outdoor bathroom, by simply opening one side of the connecting passage between the tents. All units are cleverly spaced in such a way that they do not look out onto one another, ensuring privacy. 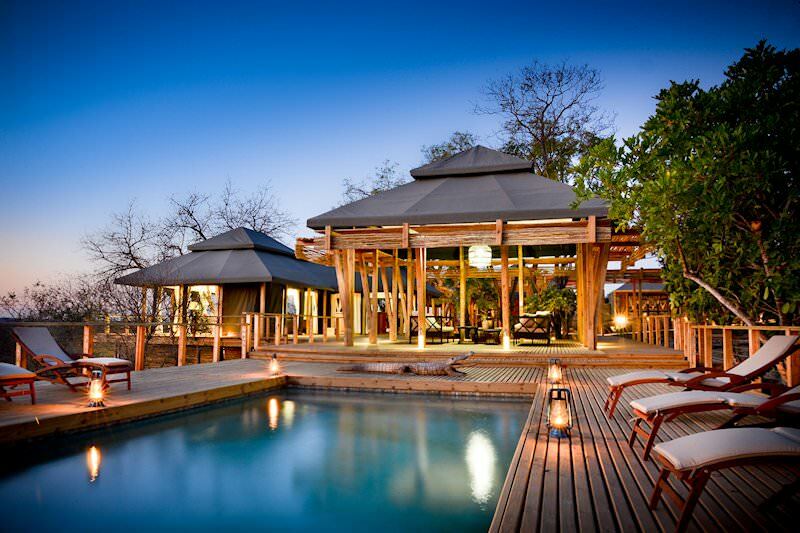 The main lodge area consists of a lounge, viewing deck, infinity pool, reception and a 360° bar with exceptional views. There is also a small curio shop. WiFi is available in the reception, lounge and deck area. A selection of books and board games are available in the lounge. 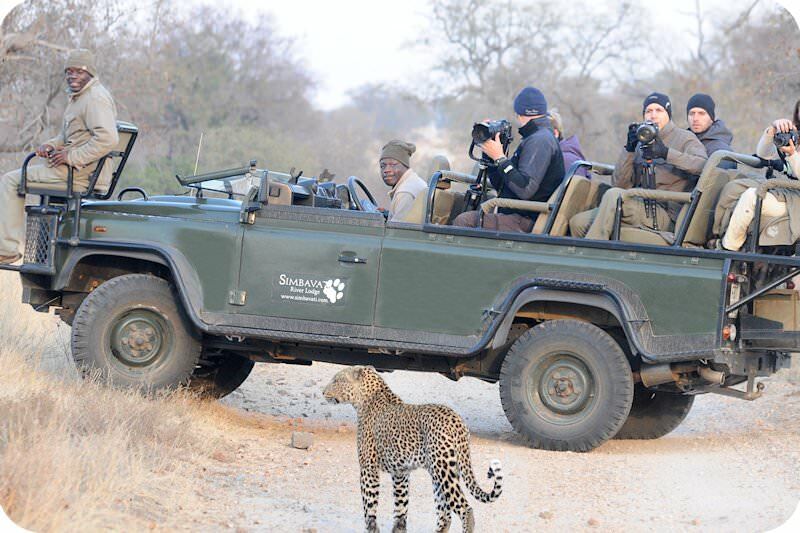 The main activities at Simbavati Hilltop Lodge are the twice daily game drives, which go out early in the morning and late in the afternoon. On the morning game drive, a coffee stop is enjoyed in the bush, while the afternoon drive stops for sundowners to enhance watching an African sunset. 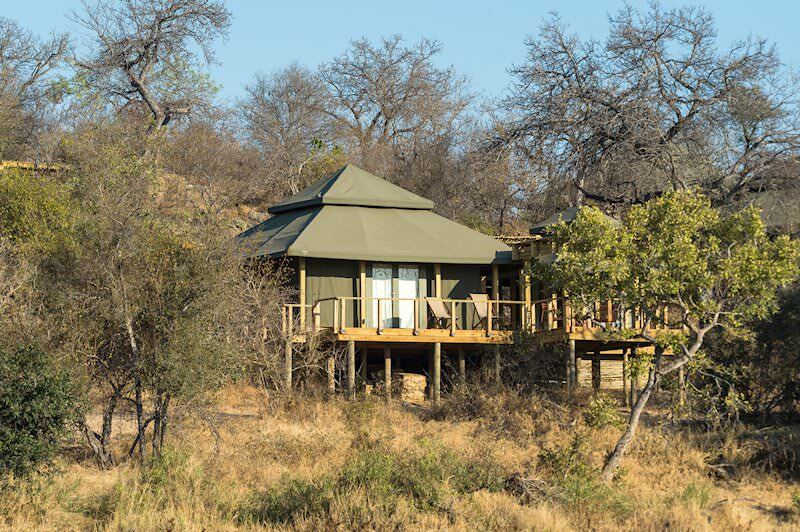 A guided bush walk can also be arranged, which typically takes place either mid-morning or in the afternoon. 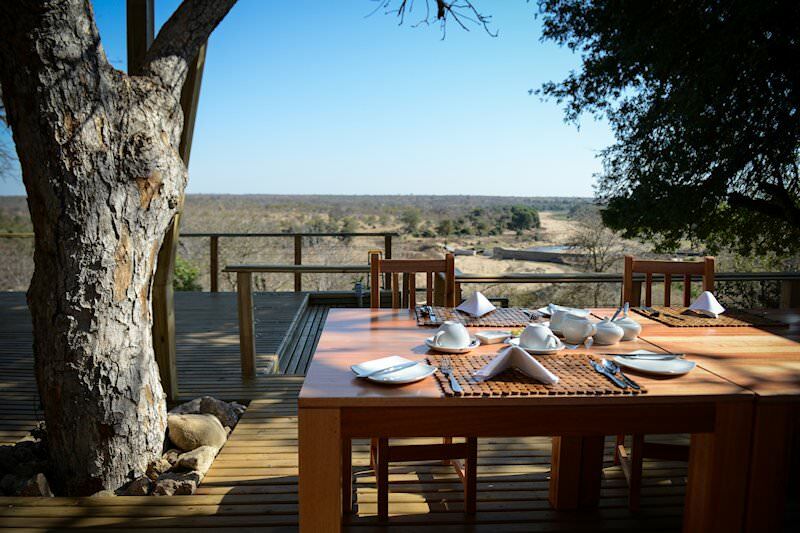 Breakfast is served after the morning game drive and lunch comprises an à la carte menu or chef’s specials. Afternoon high tea is enjoyed before the afternoon game drive while dinner is served after, around a fire in the open-air boma if the weather allows it. 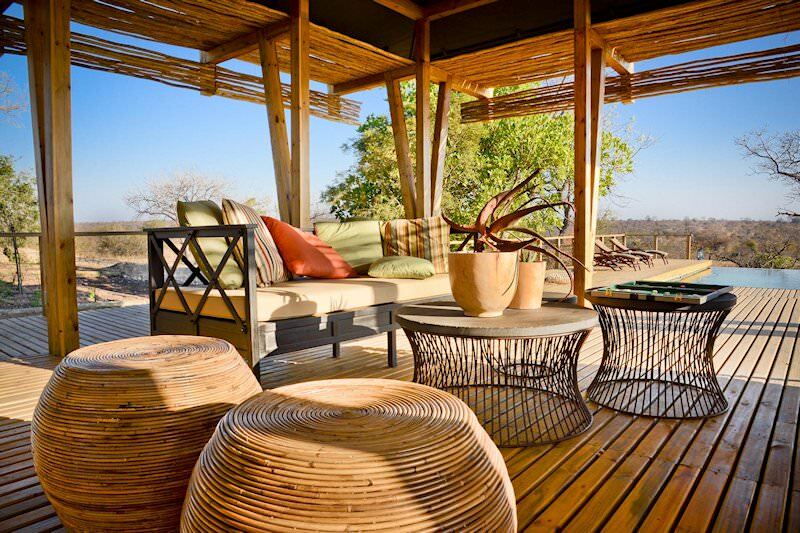 South Africa is favored for the fine infrastructure of and easy access to its safari areas. Zambia's wilderness areas are spectacularly remote, from Kafue to Lower Zambezi. Travel to Zimbabwe for a breathtaking glimpse of the Victoria Falls. Mozambique is the continent's top tropical beach and island getaway destination. 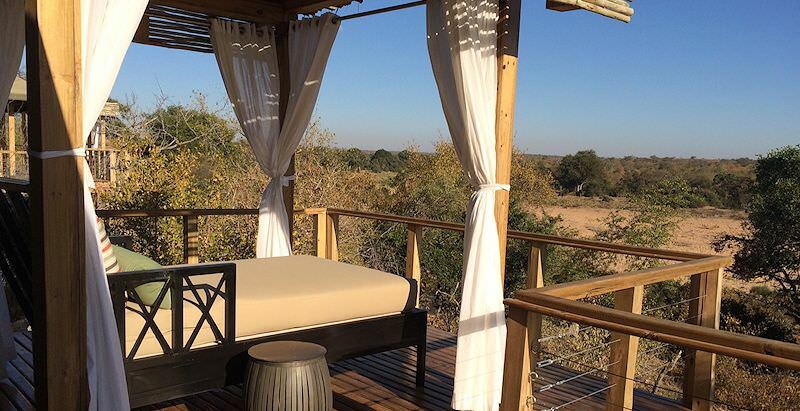 Our Kruger Park safaris range from privately guided overland adventures to inclusive fly-in packages with lavish lodgings. A luxury safari with African Sky will take you to remote wilderness areas, cocoon you in luxury, spoil you with fine cuisine and thrill your senses. The Big Five are the continent's most awe-inspiring mammals, from the rare and endangered black rhino to the shy leopard. 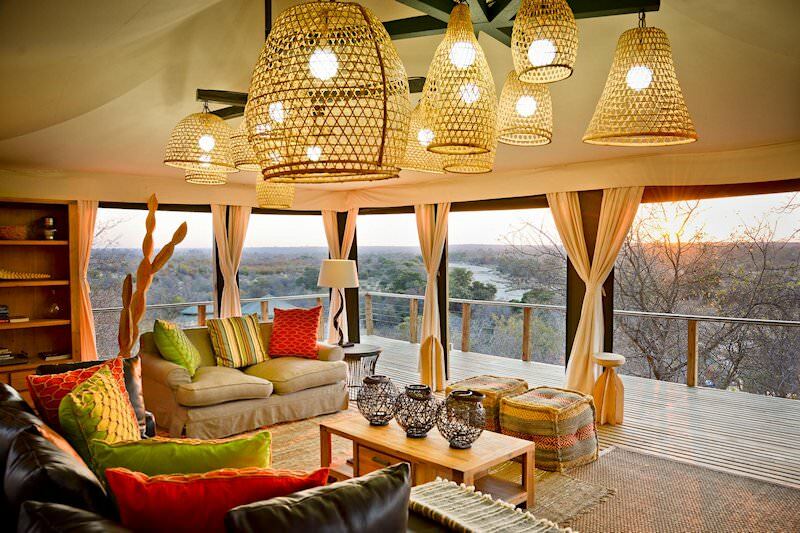 The African lodges included in our safari packages have been carefully selected for their quality service and inimitable locations.